Oh and don’t forget that KDE is also taking part in the Outreach Program for Women. KDE is looking forward to an amazing summer with a bunch of great students. Will you be one of them? You totally could be! KDE is a huge project and to keep it running it needs all kinds of people with very different talents – be it artists, translators, promoters, community managers, documentation writers, bug triagers and much more. We’re relatively good with recruiting coders. We could do better for everyone else. The Community Working Group would like to invite you to its next office hour to talk about this topic. How can we make it easier for non-coders to get involved? How can we improve the help we give them? How can we reach more of them? Akademy is getting closer and it is time to submit proposals for talks. This is your chance to present your work and ideas to the KDE community in person. The call for papers is here. It has all the details. I’m sure there’s something interesting you could talk about in Bilbao. Don’t wait! If you have questions or are unsure I’m happy to help. Just send me an email. To post a request please register for Akademy on akademy.kde.org. During the registration process you’ll be able to indicate it. Google has announced that they’ll be running Google Summer of Code once again in 2013. This is splendid! KDE will once again apply as a mentoring organization to introduce many great students to Free Software and of course also get some important work done around KDE. Last year KDE gave a focus to accessibility for its GSoC. This year (if we’re accepted again) we will do the same but with a different theme. This year’s theme is KDE++ aka polishing existing things. We’ll also accept projects outside this but this should be the main focus. I’m really looking forward to the results. Add ideas for projects to the ideas list. This needs to happen very soon. Subscribe to the mentors mailing list (mentors only!). Prepare some junior jobs for interested students and tag them with the keyword junior-jobs. In case of questions come to #kde-soc on freenode IRC. Have a look at the ideas list and see if there is anything interesting for you there. Get familiar with how to develop for KDE, what KDE is about and how Free Software works. Have a look at the available junior jobs and see if you can fix one of them. In case of questions come to #kde-soc on freenode IRC or send an email to the mailing list above. One important thing to keep in mind: Start getting involved now! Don’t wait. This will give you a great advantage. FOSDEM is getting closer and I have booked my flight and hotel \o/ I hope to see many of you there. We have decided to extend the deadline for submitting talks for the cross-desktop room to the 21st of December. If you have something relevant to talk about please consider submitting a proposal. You can find the call for participation here. KDE is once again taking part in Google Code-in this year, a contest to bring 13 to 17 year-olds closer to Free Software. I asked some of our students to write about their experience with KDE. Here’s the fifth one by José. Many of you may have heard about the Google Code-In. In this opportunity, I am writing you about this, not as an spectator of the contest, but as a participant. As today, I have been participating with KDE, an organization which has a super huge community. Basically, what you have to do here, is claim some tasks (in different areas such as coding, outreach/research, analysis/statistics, etc.) and work on it with your mentors, in a specific period of time designated by them. Once it’s finished, the mentor will approve the work and mark the task as completed. But it’s not only about that, you can win the great prize, which includes a trip to the Googleplex! Well, participating with KDE has been a great experience until now. In my two tasks (third counting this one) tasks I’ve had with KDE, the community and my mentors have been greatly helpful, which added to my efforts in doing the best possible work, ended up in what I think are great results and work. By doing this I don’t think you may only be able to win the prize, the simple and maybe abstract fact of helping a community, which is the main purpose behind all of this (from my point of view) is what makes your work valuable. Knowing there’s a community and people behind it, thanking you for what you’re doing, only that feels great. I know I may not be able to win the prize, but for me, helping the KDE community is more than enough to be satisfied for the work I’m doing, and I will continue doing. The two tasks I chose with KDE were done with the Amarok team, which develop a music player in KDE. The first one involved reviewing 30 old bugs to see if I could reproduce them again. So, after some hours of work that involved screenshots, and typing in every single detail I saw, I got it done. In the case of the second task, I had to do a report on a database that has been storing feedback for a long time. I had to review it, and classify it, making some nice charts about the general and specific statistics of each part of the database, and compare it to the last report, that had been done about a year before. This was a little more complicated, as while in the task, I got stuck in an airport for hours, and couldn’t do much. Anyways, I ended up finishing the task, and my mentors were satisfied and happy because of it. I also learned that people get to understand bar charts better than pie charts! Anyways, I am 100% sure that the KDE community is more than grateful with all the efforts each person taking a task from them is doing. I would also like to remark the fact that many of you may have been collaborating with some other different organizations, which is completely fine in this case. The organization I prefer after considering many different aspects is KDE, so don’t feel discouraged if I’m talking about a different organization, it’s part of the contest. But overall, I can say that my experience until now has been great, and I don’t regret my choice. KDE is once again taking part in Google Code-in this year, a contest to bring 13 to 17 year-olds closer to Free Software. I asked some of our students to write about their experience with KDE. Here’s the fourth one by Thomas. service, to help test and design new features for an upcoming release. My first task was to help test and debug a RSS reader for ownCloud that was actually developed as part of this year?s Google Summer of Code program. The News app runs within the ownCloud instance and allows for each user to have their own RSS reader with multiple feeds. The app was operational, but lacked key features and was too buggy to be released as part of the ownCloud package. My mentor Alessandro Cosentino (zimba12) helped guide me with testing tips and practices. I also suggested features and changes to the existing help to make it more appealing for users. I personally do not use an RSS feed reader, but I found the news app to be easy to use and enjoyable. 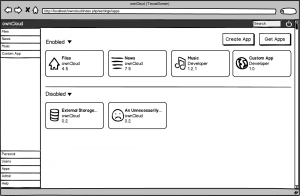 My second task with ownCloud involved designing mock ups for a redesign of the software?s application administration panel. The current panel doesn?t use space effectively and has an excessive amount of whitespace. My second mentor Bernhard Posselt (Raydiation) introduced me to Balsamiq, a mockup creation tool. I designed the new control panel with a much more user-friendly features such as drag and drop and contextual menus. The design looks somewhat reminiscent of Google Chrome?s new tab page, with tweaks to make the interface more powerful for administrators. I also had the opportunity to design potential new features such as system-wide settings per app and an integrated app market. Feedback from the designs has been positive so far. My experience with KDE through GCI has been phenomenal so far. The community of developers who I have had the opportunity to work with have been very helpful and supportive with my efforts to complete the tasks assigned to me. Alessandro, for example, guided me in setting up ownCloud on my own system for testing. Without my mentors? help and guidance I would not be able to be as successful with the tasks. The information and skills that I have developed through these and future tasks are invaluable to me as a student in both my academic work but also when I develop my own software. I look forward to working with the ownCloud and other KDE organizations in the near future as part of GCI and other programs. KDE is once again taking part in Google Code-in this year, a contest to bring 13 to 17 year-olds closer to Free Software. I asked some of our students to write about their experience with KDE. Here’s the third one by ctaka. Ohhhh, the stories my mentors could tell you! Fortunately, the three of them are sworn to secrecy. 😉 [Note: This includes you too, Lydia … although I have yet to do something eye-roll-worthy. But the task isn’t over yet. Just give me time!!! hahaha] What I am at liberty to say, is that working on the tasks and getting things done is very satisfying, but the best thing about the Google Code-In has been getting to know the mentors. KDE has some really amazing people. @ Anne-Marie: Don’t forget our virtual pinkie swear. @ Lafar: One basket of cookies delivered to your altar every third waxing gibbous moon when the sum of the digits of that day is evenly divisible by 3. Got it. @ Mascha: Just remember that I have your email address … and I’m not afraid to use it! *Disclaimer: I have not done any actual coding yet, as I am waiting for winter break and a task I think I can do without causing too much pain to my mentor—HAHAHA. But linguistically, it seemed like the perfect phrase. KDE is once again taking part in Google Code-in this year, a contest to bring 13 to 17 year-olds closer to Free Software. I asked some of our students to write about their experience with KDE. Here’s the second one by Sumit. I’m a 16 year old kid from Kolkata. I started learning how to code when I was in grade 7, while stumbling across a few YouTube tutorials on Java. 3 years later, Google Code-In was the first time I was exposed to the world of open-source, and I must say, it has been truly marveling. My first task with KDE was relating to ownCloud. I learnt how to use IRC and immediately after, got in touch with Michael Gapczyski(MTGap) , my mentor. I encountered many helpful souls in the IRC chat, who were a great resource when the task seemed daunting at first. They helped me understand what the task wanted, and how I was supposed to go about all my work. This was one of the most counter-intuitive things I had learnt in my life. That people will go out of their way to help you out just because you ask. I discovered how truly wonderful the open source community was. 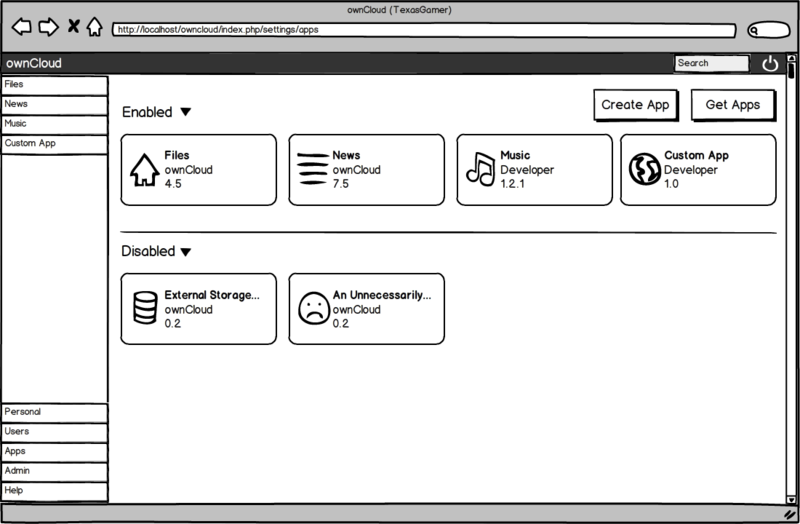 But coming back to the task, my job was to write a short overview of describing the different types of apps available on ownCloud. After spending several hours using the ownCloud demo online, experimenting with internal and 3rd party apps, reading source gode on git, I finally began writing my summary. After several proofreads, I felt ready to upload my file online. MTGap thought that my summary needed a little more work, and helped by adding the text to TitanPad, where both of us could edit it simultaneously. After a little more research and some edits, my work was finally approved. I felt proud. It was my first task on Google Code-In, and I was glad it went well. Immediately after, I searched for another task. Maybe it was coincidence, but my 2nd task also ended up with KDE. Once I switched, over to Ubuntu, I downloaded Kamoso, which was the crux of my 2nd task. Kamoso is a program to use your webcam to take pictures or make videos. I fired up Kamoso on Ubuntu and started fiddling with all the features. Once I felt I had explored it fully, I started my task of writing documentation for how to use it. Some problems arose as I never got a chance to speak to my mentor, Alex Fiestas, and even long after I had completed the task, nobody reviewed my work. But it was a very minor issue, for when I inquired with GCI, they immediately spoke to KDE, and my work was approved. KDE was extremely swift at getting my work approved and I was equally contented by the fact that I had now completed 2 tasks. I was enthralled by the experience of open source software. KDE has given me my debut to open source development, and, hopefully, I have a long way to go from here. I felt a little lost coming into Google Code-In, but I can safely say, I know what to do a lot better, and can take on tasks without feeling ill at ease, and it’s all thanks to KDE. KDE is once again taking part in Google Code-in this year, a contest to bring 13 to 17 year-olds closer to Free Software. I asked some of our students to write about their experience with KDE. Here’s the first one by Adam. More will follow in the next days. I don’t know C++. I don’t know anything about Qt. And yet with the support of Google Code-In mentors, I managed to contribute to a project in a language I don’t know, in a toolkit I am clueless about, in an unfamiliar codebase. And I managed to dive into KDE, even though diving into development can be difficult with so many different tasks to be solved. Google Code-In helps a ton in reducing the initial workload to getting involved with the KDE community. Instead of the titanic mass of the bug tracker there are a few simple, easy tasks that are not too hard for someone like me to get involved and to start solving problems. One of these problems was in the anagram app, Kanagram. Kanagram simply gives the user an anagram to solve and a button to show the answer. The bug was a simple one in which the reveal anagram button still appeared after the user had either figured out the anagram or solved it. It was a minor detail and yet an important one, as it was confusing to have a button to reveal an anagram when there is no anagram to reveal. This was a minor inconsistency, and becuase of the simplicity of the problem, a good place to start for me. I apt-getted kubuntu-desktop and I was ready to start my first bug. I, being unfamilliar with Qt, turned to Google to try to solve the problem and came up with an idea. I posted it, and the mentor for that task, Laszlo Papp, looked over the code, and told me what I was doing wrong. A few more changes and I had got in working. I reposted it, and again I had a variety of code-style problems. One more iteration and it was accepted. The mentor turned this from what would’ve been a rather frustrating experience to a much simpler and easier one. In addition, once he marked the bug as fixed he continued to talk to me about what I did wrong with integration, further educating me about KDE and C++. Another great plus to working with KDE is the reality of the problems I’m solving; in short, I know that what I do makes a difference. It may be a tiny bit of QA or it might be the removal of a button; either way, that change I made directly helps people around the world. And it has taken me just a few days to get started with the KDE community with virtually no hassle, beyond some minor kinks with setting up a build environment, though once set up KDevelop + Git really worked well. Even though KDE does a lot of things well there are some problems for a newbie KDE developer. Many of these are tiny details like the lack of a unified account for the wiki and the bug tracker, but in total they pose an obstacle. Overall the combination of mentors and the list of tasks materially reduces the difficulty of getting started with KDE development.